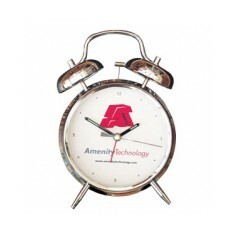 The career saver of many a night owl, our selection of custom printed Alarm Clocks make an ideal promotion for any of us that struggle to wake up on time. 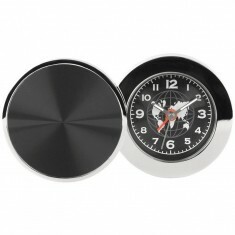 Whether you’re going on business trips to a new time zone and need help adjusting, or if you simply need a blaring klaxon every morning to get you up and about, the humble personalised alarm clock makes a great promotional item. 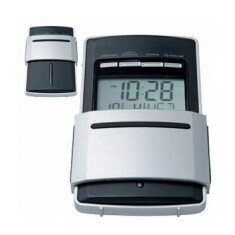 We hold a variety of customised alarm clocks from high end executive versions to innovative light up ones. 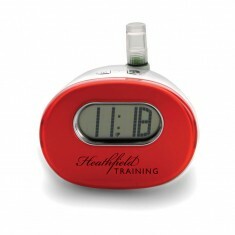 Branded alarm clocks, whether travel size or suitable for the bedside table, are a handy piece of promotional giveaways and most likely the first thing your customers will reach for in the morning, even if only to press the snooze button! 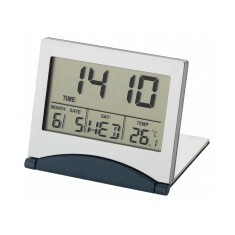 An alarm clock can make an excellent executive gift, and our Stafford Alarm Clock can be laser engraved in ultra fine detail to the front of the face. Individually package this item in a gift box to make a really lovely high quality item. The quartz mechanisms mean that this premium item will not lose time, and the folding stand give it a minimalist and simple style that will appeal to the understated among us. 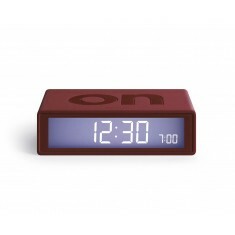 Alternatively, a more flashy option, is our custom branded Wake Up Light, that gently gives off light to wake you. 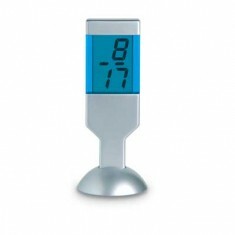 The clock’s glow gradually brightens, waking you calmly and naturally, by emulating a sunrise. 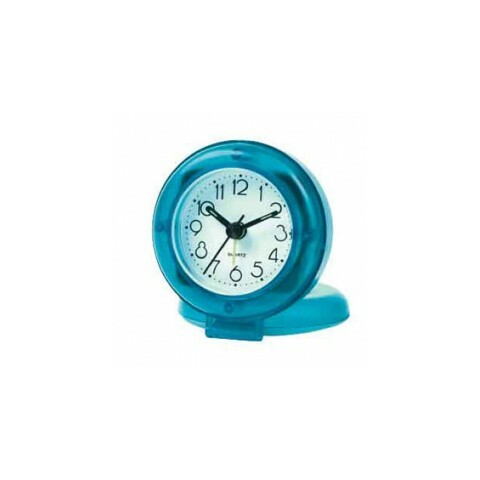 This item is great for anyone who wants to give their customers that gentle and natural alternative to traditional alarm clocks. 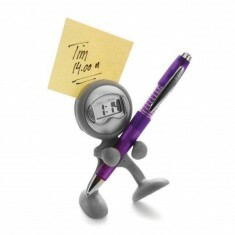 For advice on selecting your perfect promotional timepiece, talk to a member of our sales team, who will be happy to help! Collapsible style. Personalised to outer side. Excellent travel item. Battery powered. 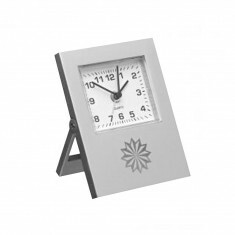 Lightweight aluminium desk top clock. 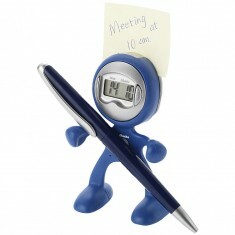 Alarm clock, memo holder, pen holder and phone holder gadget. 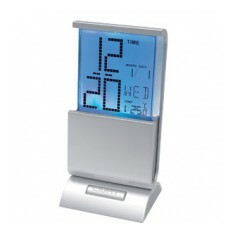 Desk clock with colour changing display which features temperature, day and da..
Bend arms and legs to any position. Fun & quirky. Great desktop giveaway. 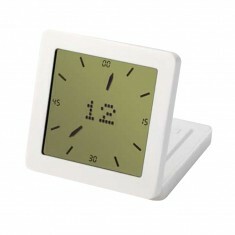 Stylish desk alarm clock with large printing surface. 1 x AG13 cell battery in.. 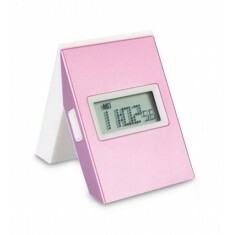 This LCD alarm clock in ABS casing, is perfect to stand on your desk and remin..
Never be late for your important meetings with our custom printed Slim LCD Ala.. 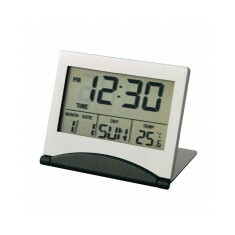 The perfect promotional item to take with you on trips and holidays, this comp..
Metal framed LCD alarm clock with calender and stopwatch. 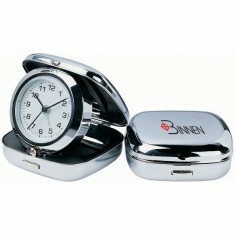 Shows time, date, da..
Wake up bright and early with our branded Pop-Up Alarm Clock. 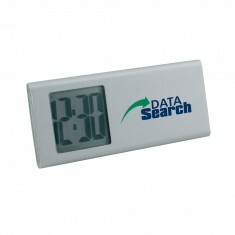 This great trave..
with clock, date, alarm, and nightlite functions. Sliding cover. 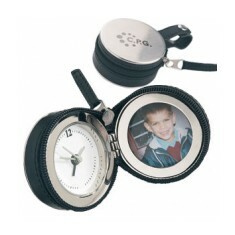 Complete with zipped black PU case and circular photo frame (35mm diameter). B..
Strong chrome metal body and precision technology present themselves together .. 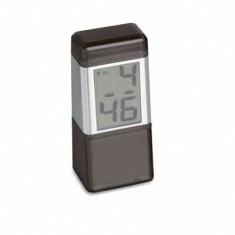 Plastic water powered alarm clock in a nice choice of colours. Classic, iconic style. 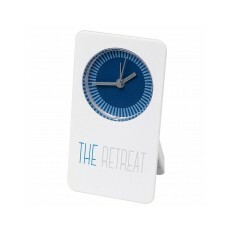 Personalised to clock face. Chrome finish & glass lens. Battery powered. 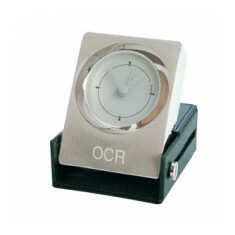 Black leather case holding brushed and polished nickel alarm clock. 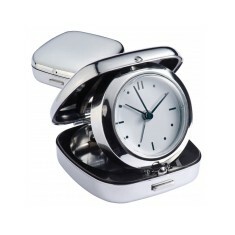 A compact metal alarm clock with an attractive sunray cover. 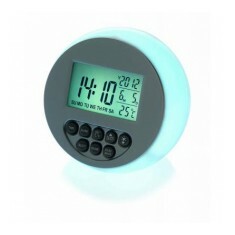 The cover rotates..
Alarm clock with gradually brightening light that simulates sunrise to wake yo..